Textiles are woven into every part of human history. Our continual reinvention of cloth is a testament to the irrepressibility of human ingenuity. 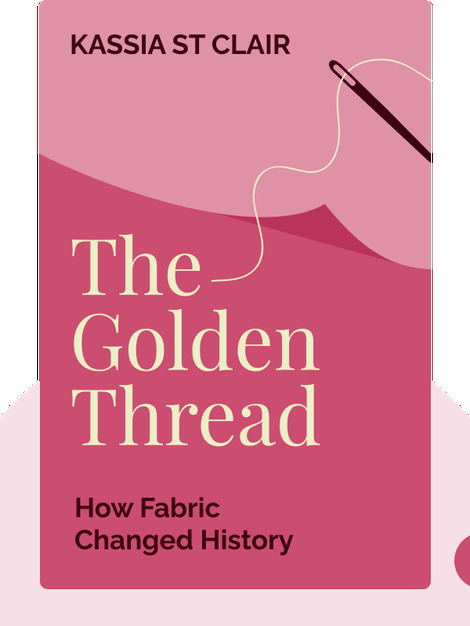 The Golden Thread (2018) surveys the role of fabrics in numerous epochs and cultures, making it clear that fabric has always been more than simply clothing – it is an ever-evolving vehicle for human ingenuity and achievement. 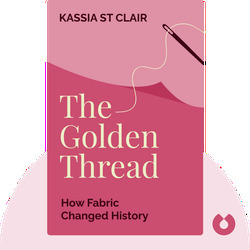 Kassia St Clair is a London-based freelance journalist and author. She is the holder of a first-class honors degree in history from Bristol University and a Master’s degree from Oxford University. Since 2013, she has written a column about color for Elle magazine, and her writing about design in culture has been published in The Economist and New Statesman, among other publications. Her acclaimed previous book, The Secret Lives of Colour, was published in 2017.